MetalRockNews: Asking Alexandria's Ben Bruce about new album: "There's not been a raw energy or aggression since 2011"
Asking Alexandria's Ben Bruce about new album: "There's not been a raw energy or aggression since 2011"
Asking Alexandria singer Denis Shaforostov and guitarist Ben Bruce were recently interviewed by Kerrang, you can read some excerpts below. 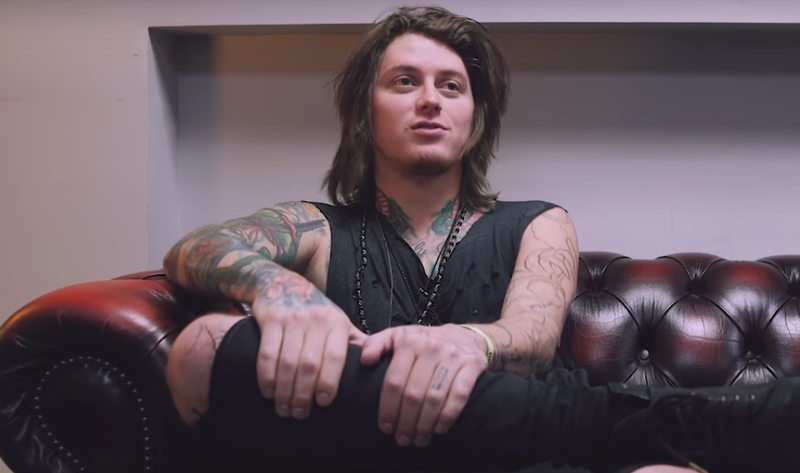 About Asking Alexandria's new album, Bruce said: "After we spent the last two years writing for this record, a lot of that ended up getting scratched when Denis joined and we started again from scratch. And we finished the album now. We're getting the final mixes back in over the next few weeks." He continued: "I'm so excited to release it. There's not been a raw energy or aggression to an Asking Alexandria album since 2011's 'Reckless & Relentless', like this one presents. You turn it on, and you're like, 'Wow! They're back.' And I cannot wait to release it to the world and hear what everyone thinks."